The region-wide radio system governed by the Metropolitan Emergency Services Board is a shared radio system covering ten counties, including Anoka, Carver, Chisago, Dakota, Hennepin, Isanti, Ramsey, Scott, Sherburne, and Washington, and is part of the larger statewide radio system known as the Allied Radio Matrix for Emergency Response (ARMER). The system is largely software based and operates in the 800 MHz band. The concept of a regional radio system was first developed in the metro area in the late 1980s. In 1995, the legislature created and authorized the Metropolitan Radio Board (MRB), which held its first meeting on June 30, 1995. Its legislative charge was to develop and implement a plan for a regionwide public safety radio communications system. The MRB adopted a system design plan on September 1, 1995 and issued an RFP in February 1997. In November 1997, negotiations began with Motorola (now known as Motorola Solutions) for the buildout and implementation of the regional radio system. Motorola was the only vendor to submit a proposal, with subcontracting from EF Johnson and Harris Microwave. MnDOT entered into a contract with Motorola, on behalf of the MRB and the state, in December 1998; the local governments negotiated their own contracts. By contract and statute, MnDOT owns and operates the ARMER system. The MESB does not own any infrastructure or equipment associated with the radio system except for some subscriber units. The backbone of the metropolitan portion of the ARMER system was built to provide 95% portable “on the belt” radio coverage. If local units of government desired additional coverage, in-building coverage for example, they were responsible for adding infrastructure to accomplish it. MnDOT maintains all regional sites and equipment; local governments are responsible for their own equipment and infrastructure. The original contract with Motorola specified the purchase of the software version 5.1, but was later changed to 6.0 upon agreement with Motorola that the metro system would be the beta test system for this software platform. This software platform created a digital, trunked radio system based on Voice over Internet Protocol (VoIP). A digital system produces truer voice communications without the static often heard on older, analog systems. Since its initial installation, the ARMER system has been continually upgraded. Currently, MnDOT is contracted with Motorola through 2020 to update the ARMER system to version 7.19. This will convert the system to full Internet Protocol (IP) simulcast. A trunked system allows for more efficient use of frequencies and creates a system with more capacity than non-trunked systems. Trunking means that a computer selects one of a number of pooled frequencies on which a user talks. Once that user releases the push-to-talk button, that frequency is immediately available for use by another user. The computer keeps track of how to route communications so conversations occurring on a given talkgroup can be heard by all radios which have that talkgroup selected. The system is often referred to in phases. The first phase of the region-wide public safety radio communications system plan consists of a region-wide backbone network that provides outdoor two-way radio coverage throughout the nine-county metro region for state agencies, the Metropolitan Council’s Metro Transit division and for emergency medical services. Construction of the First Phase cost approximately $36 million, financed through a variety of sources, and was completed in 2002. An extension of the first phase was called the Initial Network. The Initial Network allowed Carver County, Hennepin County, the City of Minneapolis, the City of Richfield, and North Memorial Medical Transportation to integrate their subsystems with the first phase backbone, which provided in-building coverage for day-to-day operations in Hennepin County and the City of Minneapolis as well as additional outdoor coverage for all users in west metro. The approximate costs of these additions were $32.85 million. The system became operational in 2002, with most agencies beginning their migration to it in late 2002. Subscriber units are not included in the figures and add an additional $28.5 million to the cost of the Initial Network. The second phase of the system was authorized by the 2002 legislature and included all agencies in the metropolitan region which did not participate in the initial network. During the Phase Two buildout, the Statewide Radio Board (SRB) was formed to plan and implement the construction of the radio system in Greater Minnesota. The 2004 legislative session changed the name of the system as a whole to ARMER. Generally speaking, when ARMER is used, it refers to the state portion of the radio system, though the local enhancements are technically part of ARMER as well. In June 2013, the Statewide Radio Board elected to become the Statewide Emergency Communications Board (SECB), per Minnesota Statutes 403, to oversee emergency communications beyond radio, including 9-1-1 and FirstNet. The MRB developed an extensive set of Standards, Protocols and Procedures. These standards cover a large range of topics from technician and training, to proper uses for pool talkgroups currently referred to as ME TAC’s, to a non-compliance policy. These standards have been used as models for other systems across the country and have largely been adopted as statewide ARMER standards, with minor modifications. Under the MRB, users were only charged a maximum of $46 per radio per year to cover the board’s administrative costs. Operating costs of the system were covered out of 9-1-1 fee revenues over and above what was needed to cover debt service. 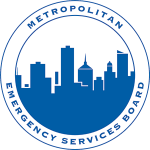 Per statute, the MRB sunsetted on June 30, 2005 and its roles, responsibilities and obligations were assumed by the Metropolitan Emergency Services Board (MESB) (formerly known as the Metropolitan 9-1-1 Board). At that time, the MESB assumed the financial obligations of the MRB. However, the MESB does not receive the direct appropriation of 9-1-1 fees that the MRB enjoyed. Consequently, beginning in 2006, metro ARMER users paid anywhere from $22.00 - $186.00 per radio per year to cover the MESB’s share of operating costs of the metro portion of the ARMER system. Costs would have been higher had the MESB not been granted funds from the Statewide Radio Board to assist with operational costs. During the 2007 legislative session, backbone operational costs were fully funded out of the 9-1-1 special revenue fund, thereby eliminating any user fees charged by the MESB. Before radio-related issues come before the MESB they go through a process of committees. Any requests to join the system, operational or technical standards or technical changes to the system are first reviewed informally by metro area system managers. Then, the issues are sent to the Radio Technical Operations Committee (TOC) for review and recommendation. The Radio TOC is composed of technicians and operational users (one each) from eleven parties to the MESB’s joint powers agreement, plus one representative each from the Metropolitan Council, Metropolitan Airports Commission, Metro Region EMS, Minnesota State Fire Chiefs Association and one at-large member appointed by the MESB. The Radio TOC reviews requests and issues from a technical and operational standpoint and makes recommendations to the MESB for action. Some issues which affect both the metro region and the ARMER system as a whole must go through a similar process at the SECB level. The SECB has an Operational and Technical Committee (OTC) which acts in a similar fashion to the MESB’s Radio TOC. Once the OTC makes a recommendation, the issue goes to the SECB for action. As of August 2018, the ARMER system is considered 99% complete, with over 335 towers on air, 85,000 active radios on the system and over 7,200 talkgroups active on the system. ARMER continues to grow and will be the primary mission critical voice for emergency responders for the foreseeable future. Challenges to managing the system in the metro area are capacity and system enhancement costs. There is a finite number of frequencies available for use in the metro area, which limits the amount of capacity which can be added. Currently, there are no additional frequencies available for use in the metro region; this is a problem because system use continues to grow by both current and new users. Future enhancements to the ARMER system may be complicated by funding. Because this is a shared system, features can rarely be added by only one local subsystem, rather they are added statewide. This could mean local governments may need to pay for enhancements, by virtue of owning system infrastructure, that they do no specifically require. All system enhancements must be approved by the SECB and regional emergency communications boards, if applicable.